WEBINAR SNAPSHOT: Develop an effective and compliant training program for your general industry confined space entrants, attendants, entry supervisors, and rescue personnel and adopt essential management strategies. 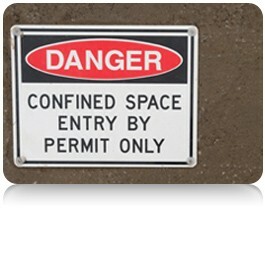 Use this on-demand webinar with popular presenter Bryan Haywood, founder and CEO of Safety Engineering Network (SAFTENG), when he will help you identify whether your training program is compliant, explain how to set up one that is, and walk you through the essential training components for confined space entrants, attendants, entry supervisors, and rescue personnel. Bryan Haywood, founder and CEO of SAFTENG.net, has over 25 years of experience in the chemical process safety and emergency response fields. He began his career as a fire fighter/EMT while attending Murray State University, where he obtained his BS in Occupational Safety and Health. Bryan received his Masters in Safety Engineering in 1996. During his career, Mr. Haywood developed, implemented, and managed safety management systems for five Fortune 500 companies that were required to comply with OSHA’s Process Safety Management Standard and EPA’s Risk Management Plan Rule. Four of these management systems achieved OSHA VPP status and, as a consultant, he played a major role at an additional nine sites obtaining VPP designation.